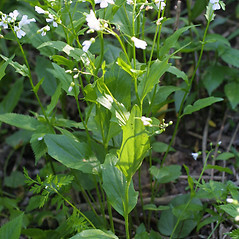 Bulbous bitter-cress is found in swamps, stream shores and ditches. 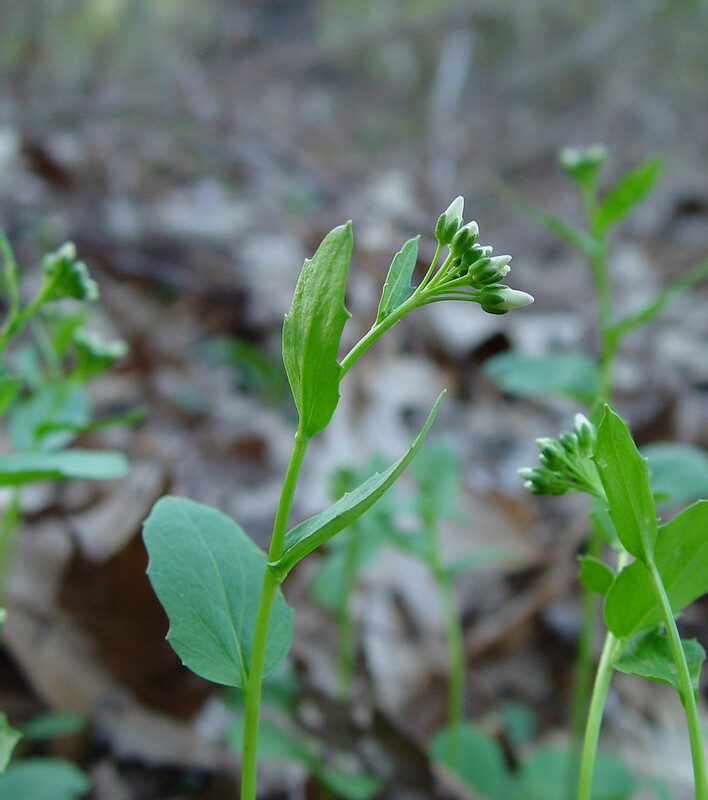 The leaves are edible, lending a sharp, peppery flavor to salads. 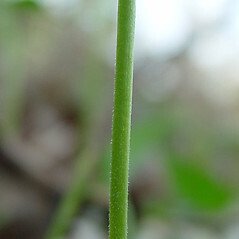 sepals purple turning brown, petals pink to purple or rarely white, and stems glabrous or pubescent with spreading hairs 0.2-0.8 mm long (C. bulbosa, with sepals green turning yellow, petals white or rarely pink, and stems pubescent with appressed hairs shorter than 0.15 mm). 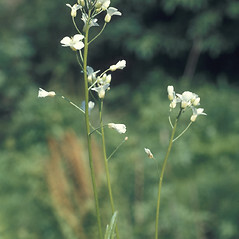 Arabis bulbosa Schreb. ex Muhl. 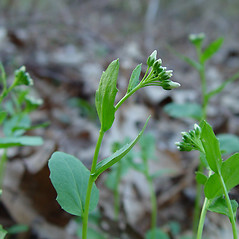 bulbous bitter-cress. 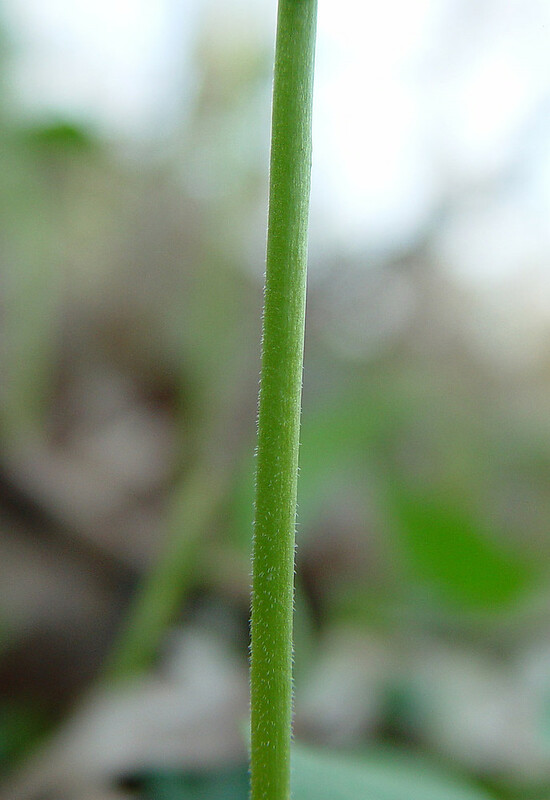 Arabis bulbosa Schreb. ex Muhl. 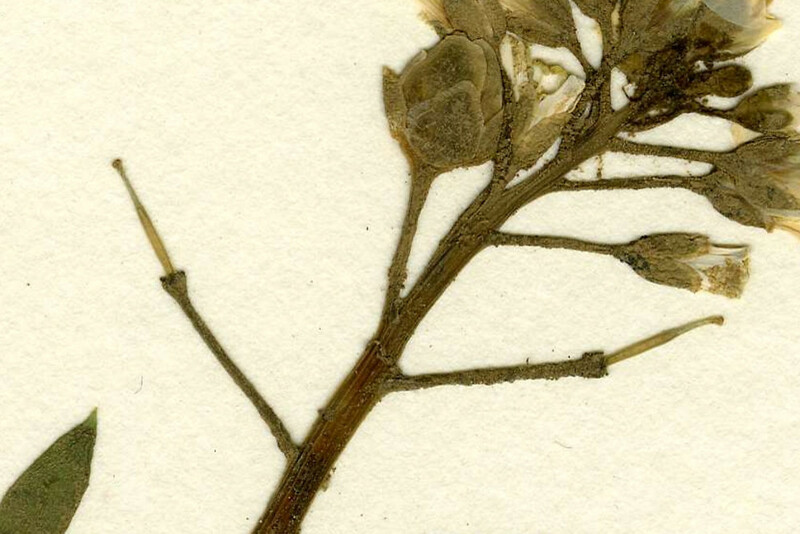 ; A. rhomboidea Pers. 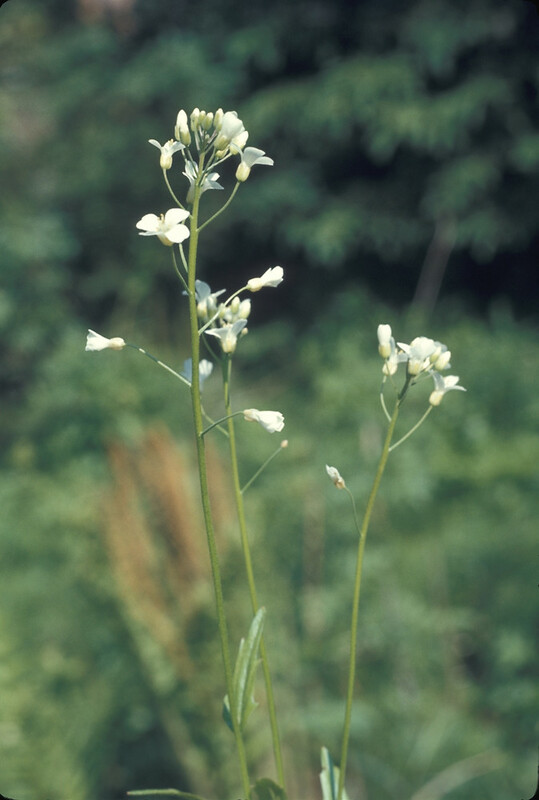 ; Cardamine rhomboidea (Pers.) DC. • CT, MA, NH, VT; also reported from ME by Al-Shehbaz et al. 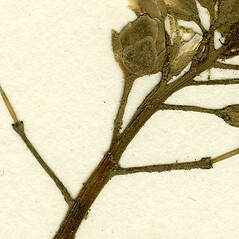 (2010) and from RI by George (1992), but specimens are unknown. 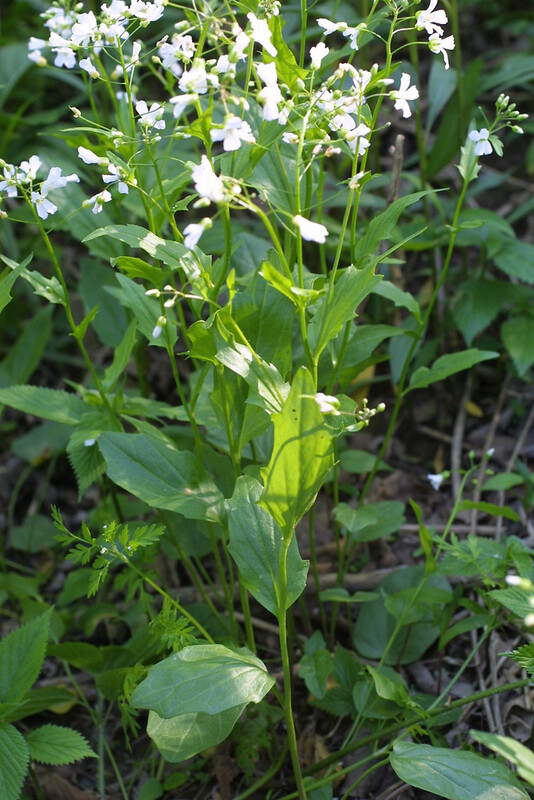 Swamps, ditches, low areas in florests, stream shores.